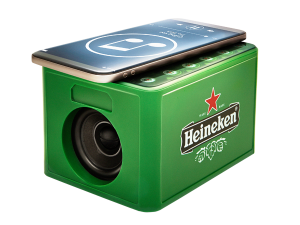 Heineken sells this speakerkratje for just under 10 euros. 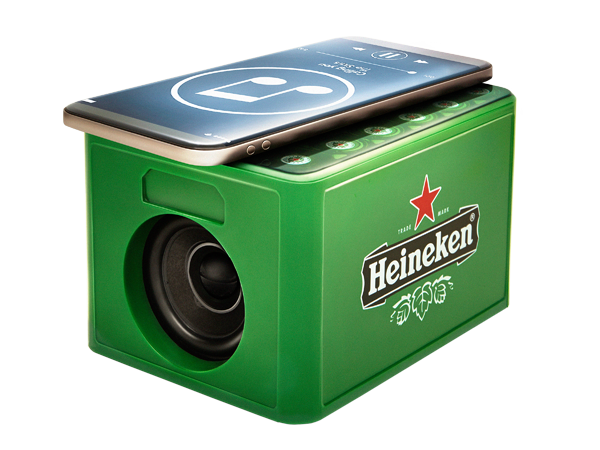 It has a nifty audio amplifier based on inductance from your phones speaker. 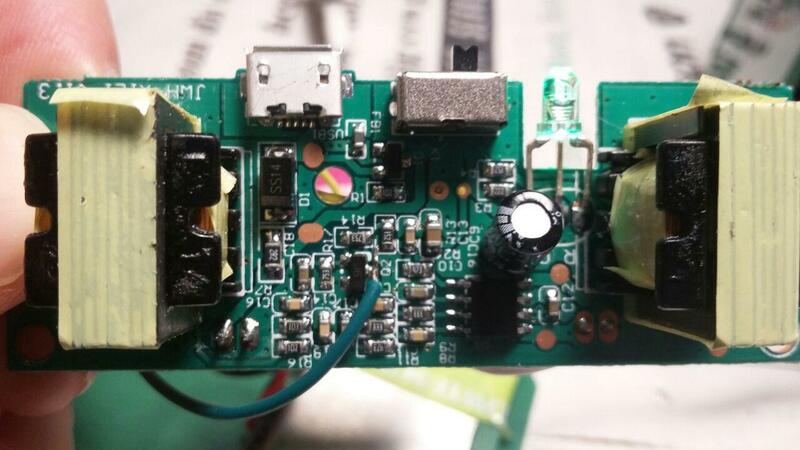 For no good reason I decided to add a bluetooth receiver. 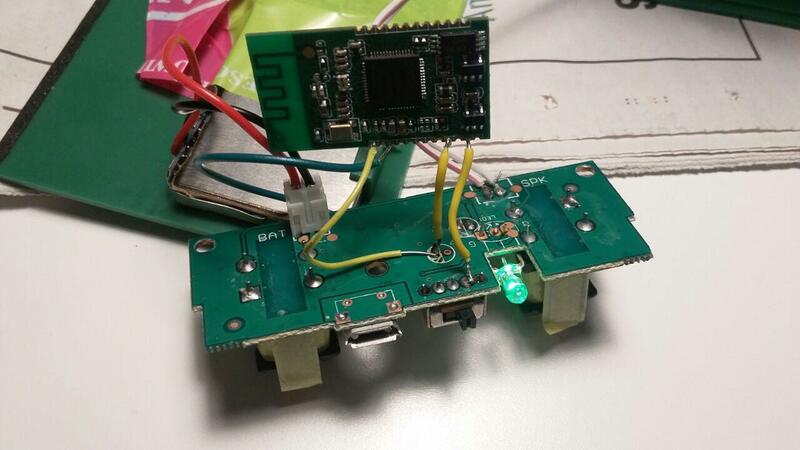 The bluetooth module is the XS3868, available from banggood for under 4 euro. So this works quite well. 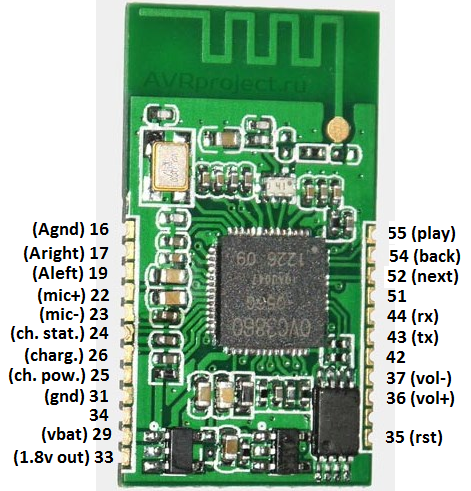 The sound quality is similar then when connected to another amplifier with other speaker. 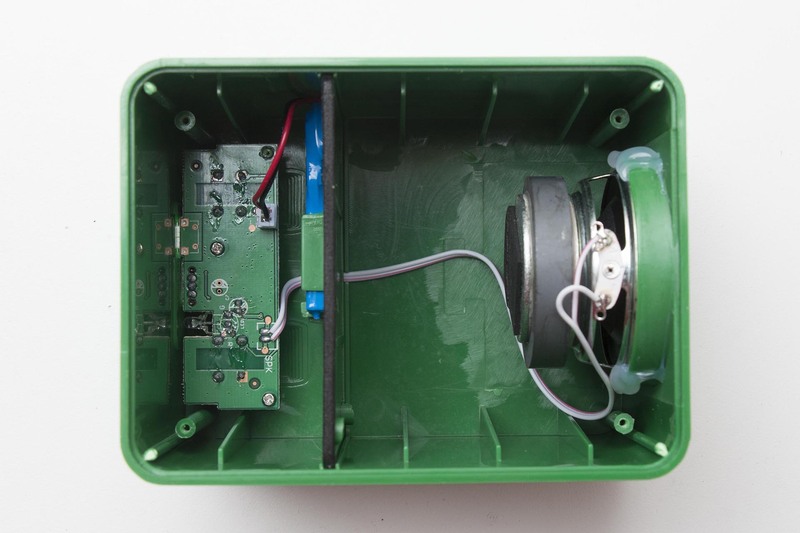 However, there is noticeable high frequency noise (low volume) which you will hear especially when the music is idle. I think this is only due to the Bluetooth module. It should also be possible to connect an audio jack in the same way. The speakerkratje will amplify the signal. Sure, you just have to adjust it on your phone. Please tell me how to connect to bluetooth…?